I love Caribeque. 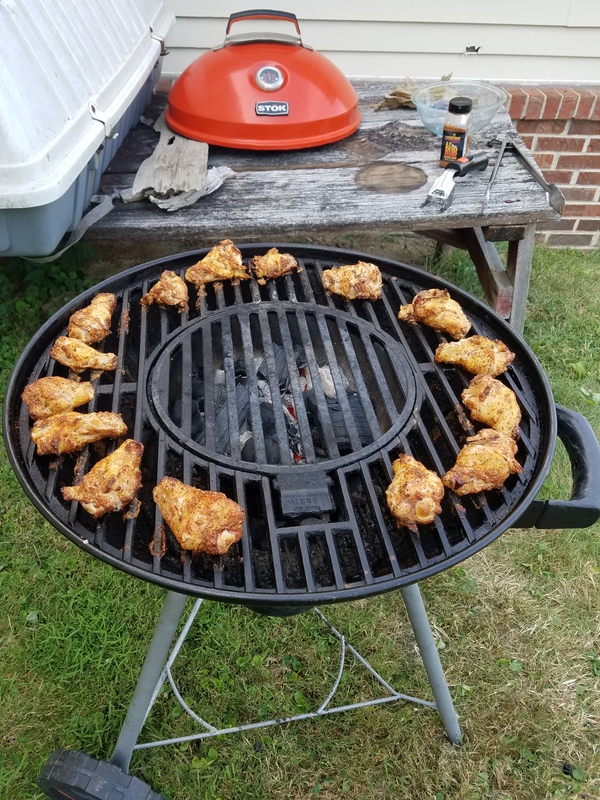 I’ve tried three of the seasonings/rubs so far, and none of them have let me down. And damn, that STOK drum grill has churned out some delicious food for my family and I so far. I can’t be more satisfied with it. My only problems are, 1.) the bottom damper vents get easy stuck, and 2.) the ash pan has ash that is pretty much stuck to it! No idea what to do about that. 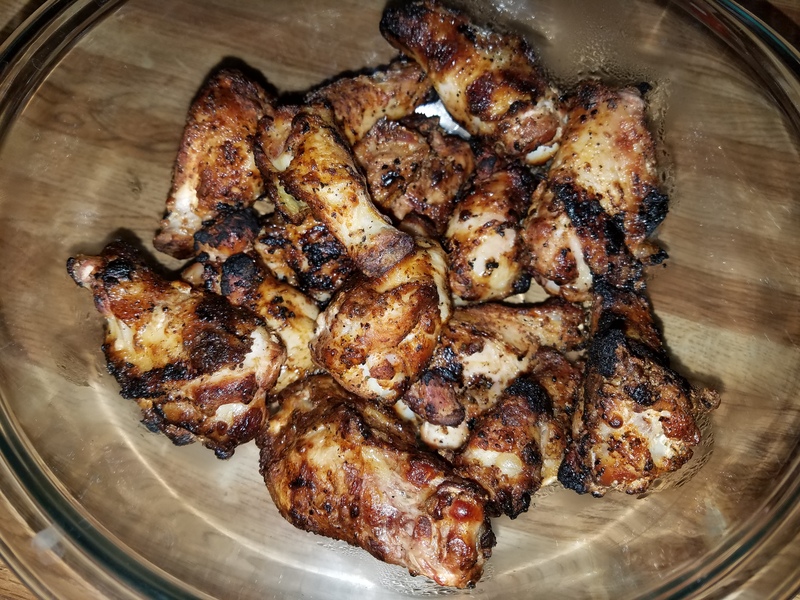 I’ve played around with the brand new Caribeque AP (All Purpose) rub here and there, but they were fantastic on these wings. Even more so the next day, when I mixed some cheap Louisiana hot sauce and butter and tossed it on ’em. Like I’ve said, Kurt Halls has something special going on with Caribeque, and I’m glad to be alive in this day and time with the opportunity to try the seasonings and rubs out. They are all terrific.